New Year is near, everyone is busy, and holiday mode is on! 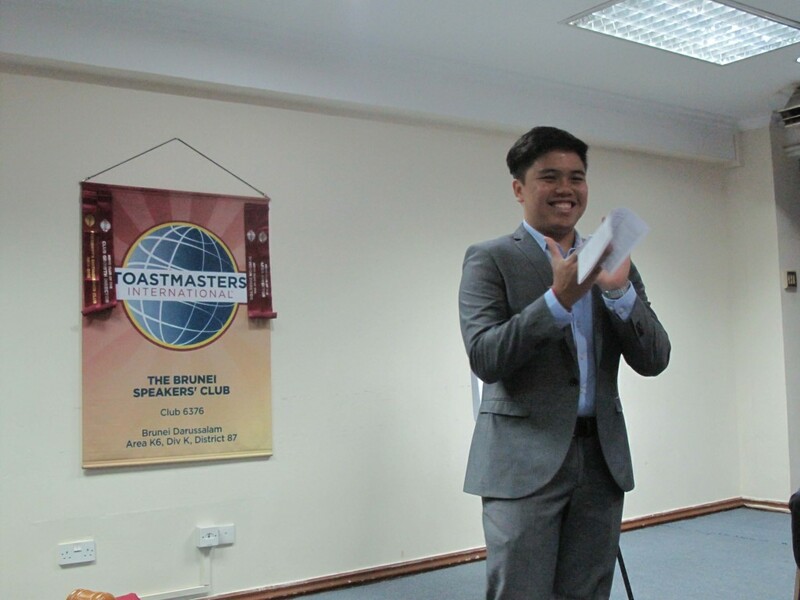 Despite all these, we had yet another exciting meeting hosted by none other than our Toastmaster of the Evening, the witty TM Macalister Mak. He humbly welcomed everyone and expressed to everyone his thought, ‘You should always be prepared for the unprepared’. 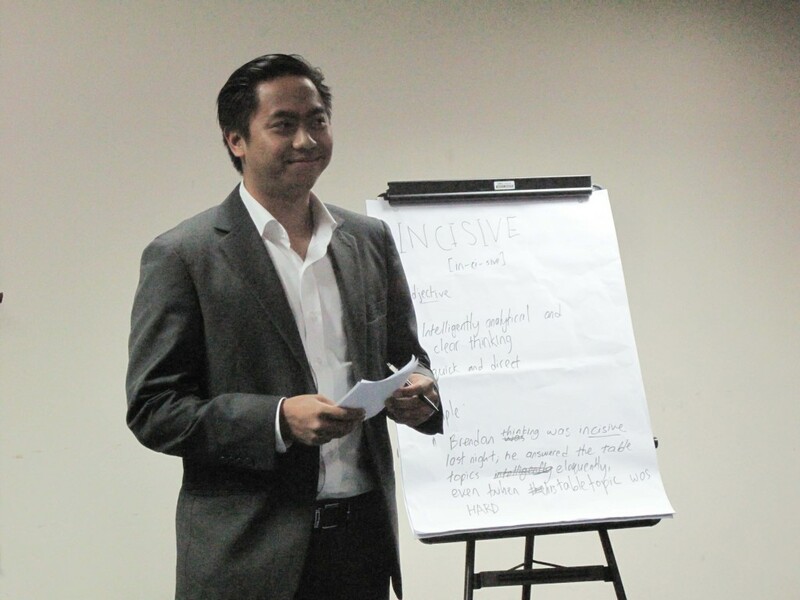 Our dedicated Grammarian, TM Aziman Nasir instated ‘INCISIVE’ (in-ei-sive) as the Word of the Day. It means intelligently analytical and clear thinking; quick and direct. He was also watching out for speakers who use similes within their speeches. Examples of similes are ‘as sweet as sugar’; ‘as blind as a bat’; etc. 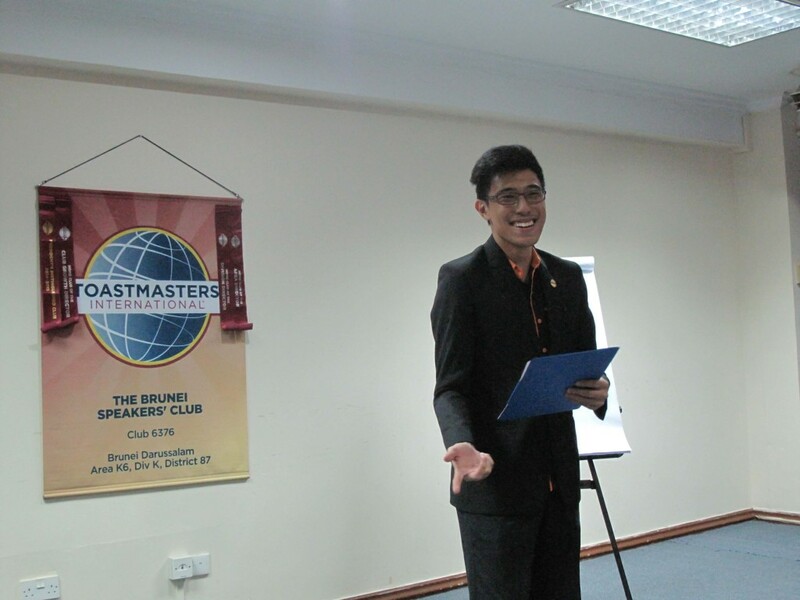 Our Timer and Tip, who has just received his Competent Communication Award, CC Farhan Jafar Ali (Congratulations!) shared his tip, ‘Try and avoid perfection. Rather than focus on perfection, learn and grow from mistakes. You will get better and better overtime’. 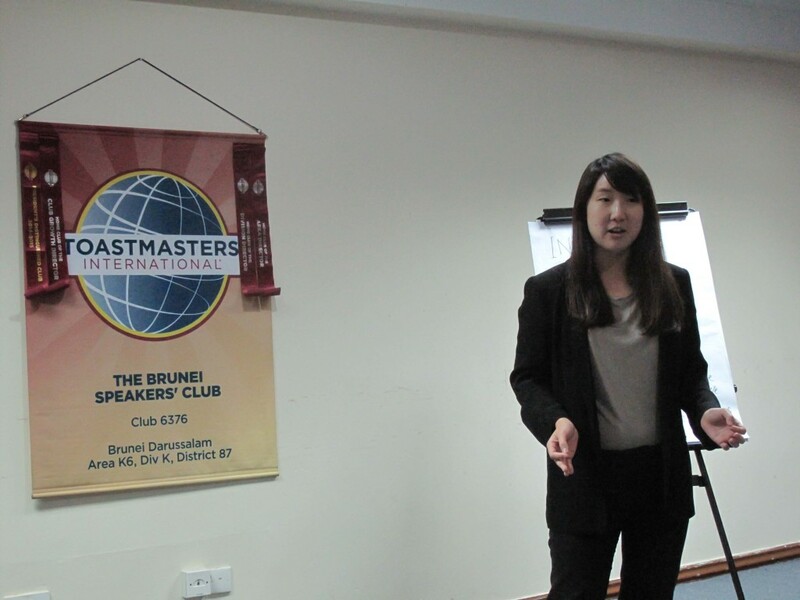 For TM Tieng Chwei Peng’s CC5 speech entitled, ‘Reverse Culture Shock’, she explained that people experience ‘Reverse Culture Shock’ when they are re-adapting to a place where they used to live. They often have troubles fitting back in after they were temporary away from their home countries. Even something as simple as what is customary once one finishes dinner in a restaurant can be daunting and frustrating to think about. She emphasised that the reasons behind this are because, when people come back home, they either don’t realise they have changed and/or their familiar surroundings have changed. 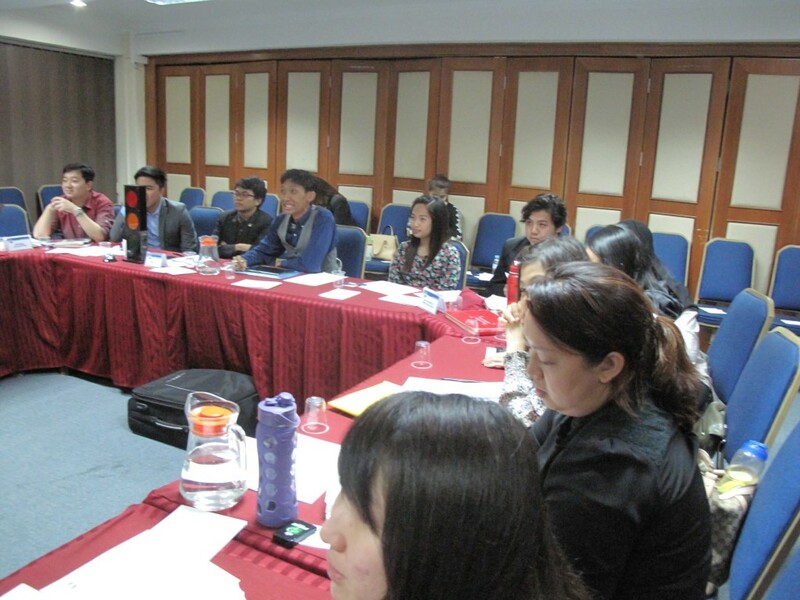 Peng highlighted, ‘Every country has its differences, doesn’t mean it’s better or worse. It is just different’. For her closing, she pointed out that people with ‘Reverse Culture Shock’ should be treated with empathy and we should make them feel at ease in re-adapting themselves back to their old surroundings. The next speaker, TM Supatra Lee, convinced everyone in the meeting to ‘Keep the Option Open’ when taking Liberal Arts education, as she was attempting to ace her CC7. She took up Liberal Arts education, where she learnt areas that cultivate general intellectual abilities such as humanities, philosophy, literature and abstract sciences. As overwhelming as it may sound, Supatra rest assured that the beauty of studying it can be declared that there is no study major in the course as the opportunity is given to learn on a wide range of fields. She shared that it is believed when a person is at a young age; they can be indecisive on what they want to be or do for their futures. She shared that Liberal Arts helps people become more employable and well-rounded in terms of critical thinking, adaptation skills, and furthermore, helps them find their hidden talent by being exposed to study in a variety of knowledge. As she ended her speech, her final message to anyone planning to continue their studies is to ‘Keep an open mind and think about taking Liberal Arts’. 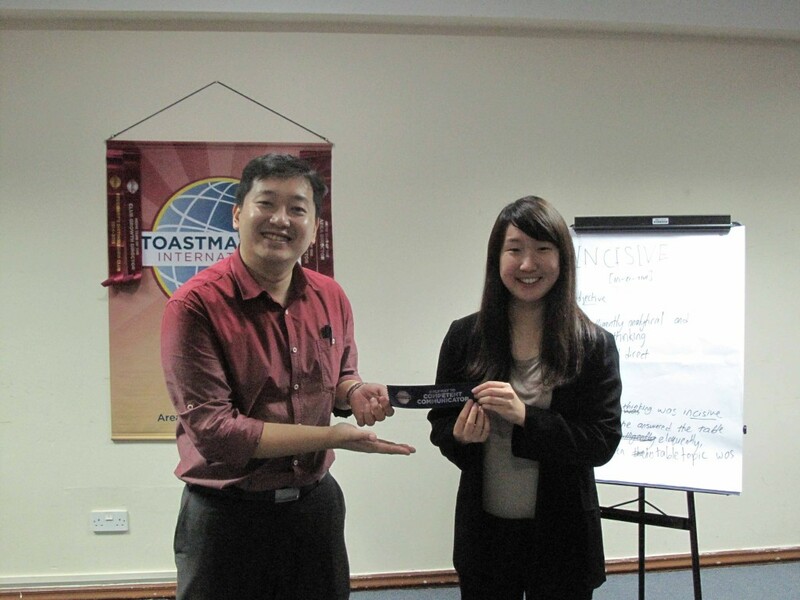 Table Topic Master, TM Kelvin Lai had come up with a theme on ‘Past Achievements for 2015 and New Year’s Resolutions for 2016’. 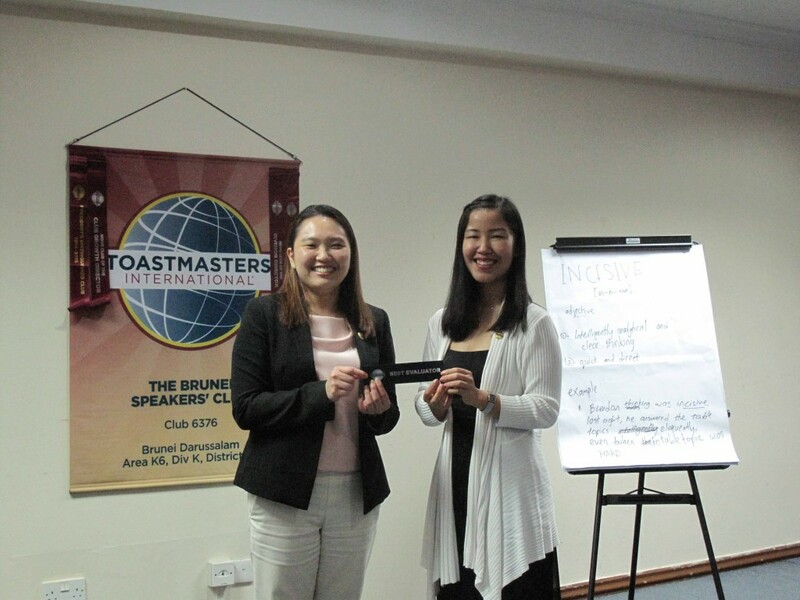 TM Ong Yin was the first table topic speaker to be up on stage, tackling the question, ‘Have you made a New Year resolution and why?’ She confidently expressed her passion as a school teacher to re-liven the Gavel Club in Chung Hwa Middle School where she teaches. 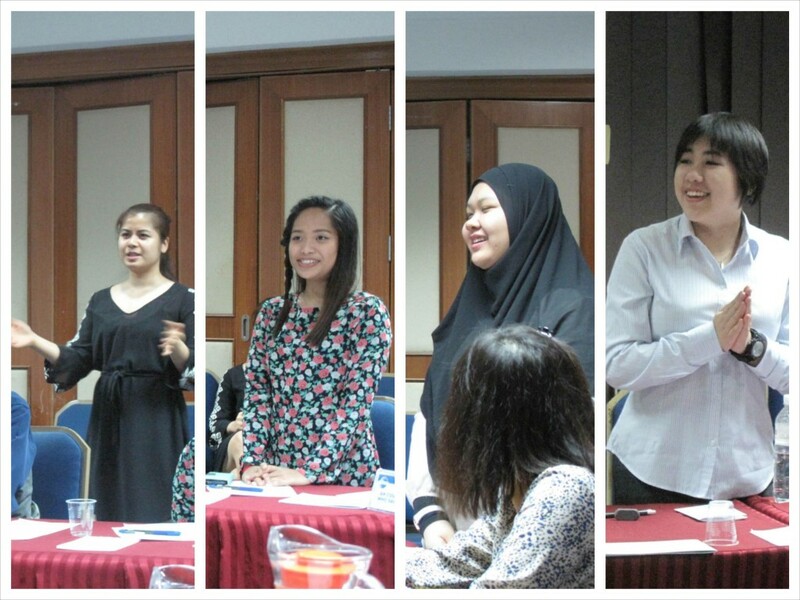 TM Ada Rani was given a tough question, ‘What is the most important lesson you’ve learnt this year?’. She enthusiastically shared her journey in adapting herself towards her work surroundings to become more acceptable. 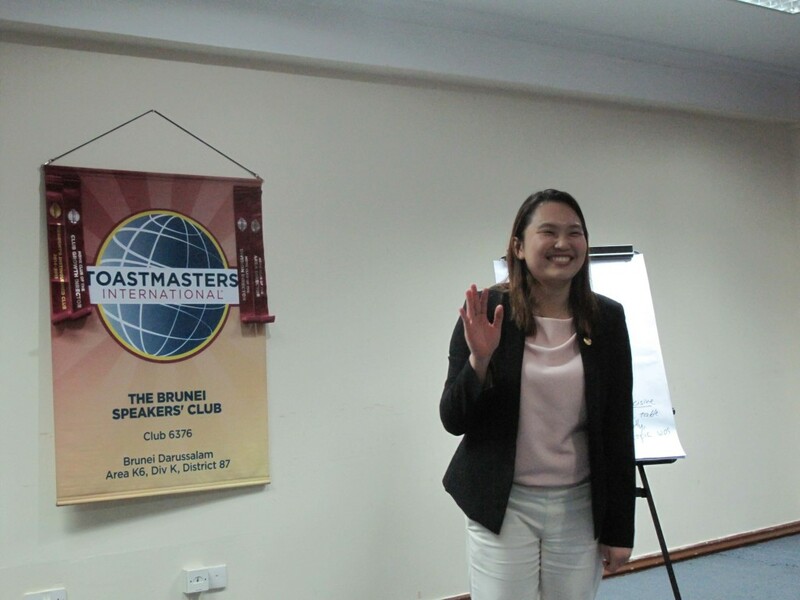 ‘What did you learn about yourself this year’, past BSC member Ling Ling dramatically answered that she is a cry baby and it is okay to be one, even as an adult, as long as there is chocolate around. 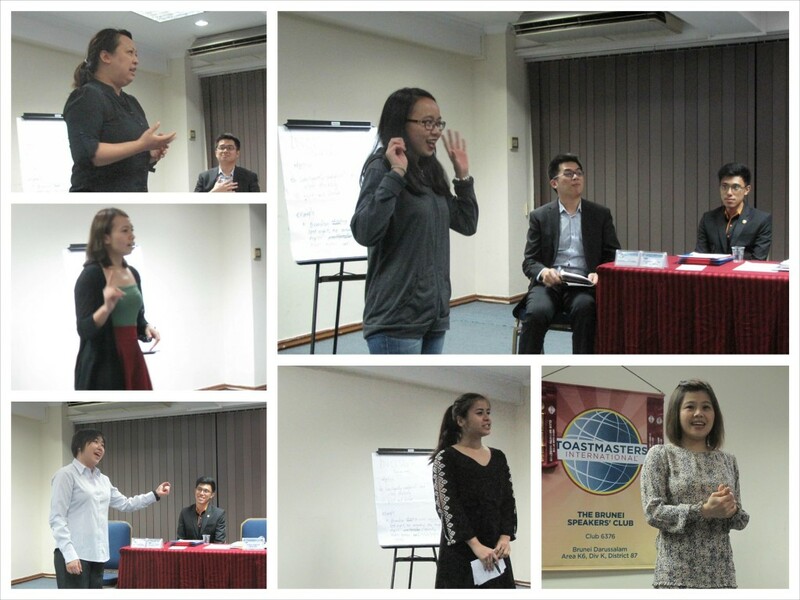 TM Kelvin Lai invited two guests to speak on stage. The first, Fina, shared her ideal travel itinerary for 2016. She passionately wants to go to Rovaniemi, Finland to stay in ice igloos. The second, Yasmin, shared her best moment in 2015 as she recounted being the head of her Panglima in-house cheerleading team and winning a competition. Lastly but not least, TM Heidi Rahman shared her hopes for 2016. She wants to be a better mother for her kids, a better wife for her loving husband and a better employee for her boss. 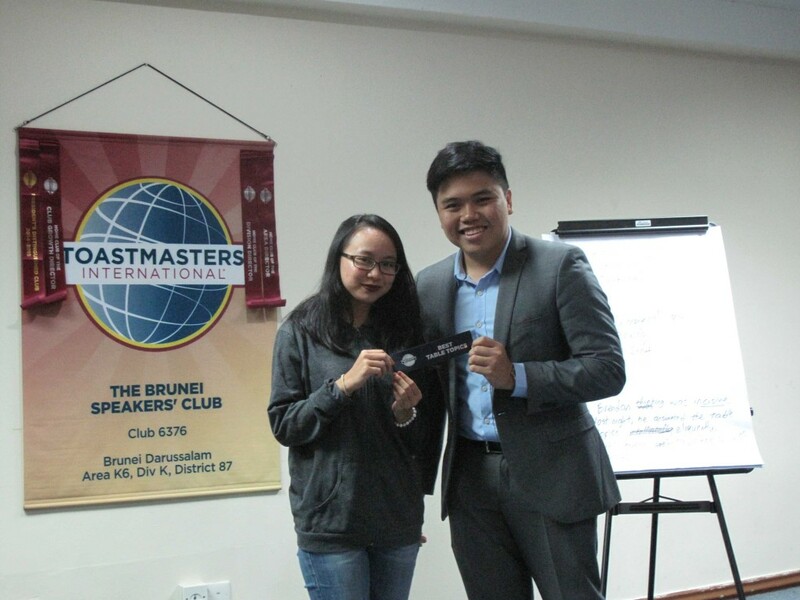 The best evaluator for the night was none other than our beloved Pranika Lama, CC, ALB. Three ribbons and counting! The meeting was enjoyable and lively with fun-filled noise and laughter. 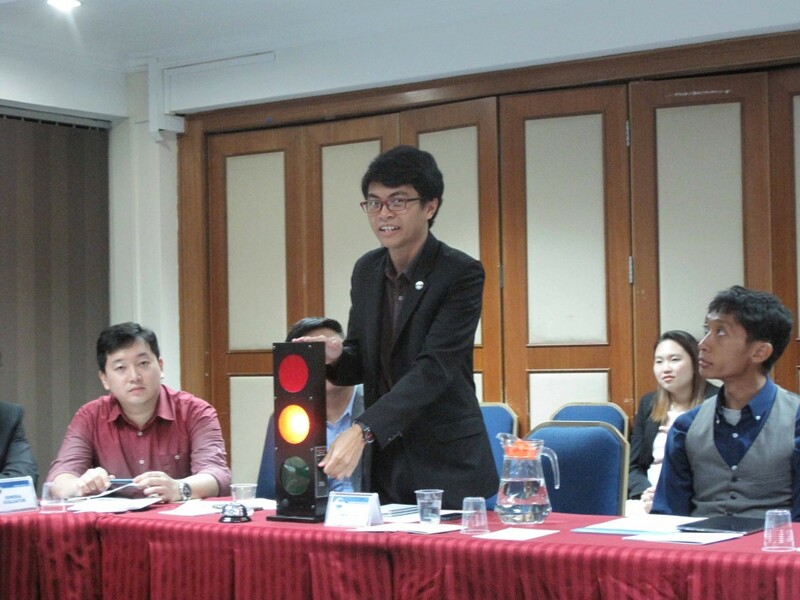 A special thank you to other role players who made the meeting a successful one: TM Rano Iskandar (Table Topics Evaluator), TM Himan Omar (Ah Counter and ‘Who said what?’), Hazwan Kamarulzaman, ACB, ALB (General Evaluator), Jordan Yau, CL (CC5 evaluator) and Pranika Lama, CC, ALB (CC7 Evaluator).